Leading up to Air Max Day on March 26th, Nike is showing off what the Air Max 720 technology can do. Of course, the Air Max 720 is special because the Air Max unit wraps all the way around the sole, giving it a pretty futuristic look. 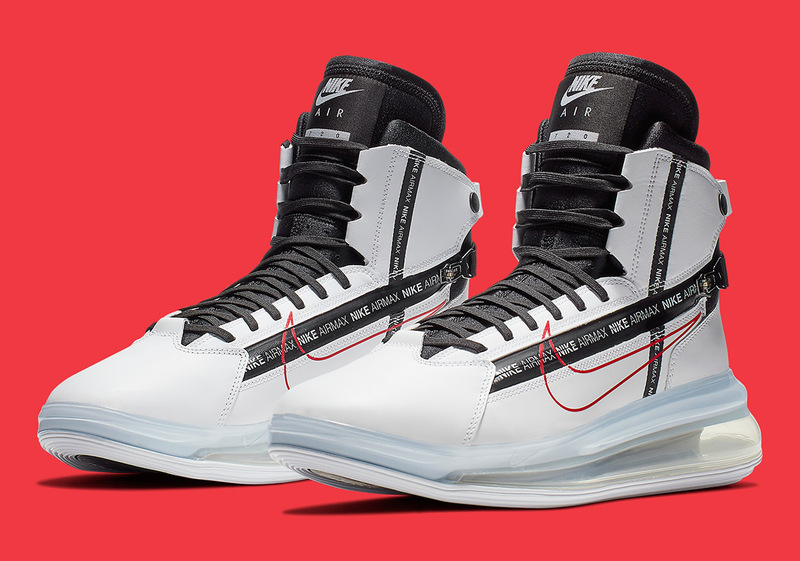 We've seen multiple colorways of the base version of the Air Max 720 and we've also seen a new, special Air Max 720 model dubbed the "Saturn." It debuted in a black and yellow colorway during All-Star weekend and looked like a futuristic racing boot that you would see Moto-GP racer wear. Well, Nike is back with a brand new colorway of the Air Max 720 Saturn, this time coming in red and white. This clean colorway has a white base with black laces and tongue, as well as some black stripes on the side. Meanwhile, the Nike Swoosh is outlined in red. There is also a zipper on the side that actually intersects with the swoosh. It's a pretty innovative design that is complemented by the clear air bubble on the bottom. According to Sneaker News, these kicks are slated to release on February 23rd, for $200 USD. Will you be looking to cop or are these a pass for now?